Q: Who is eligible to receive child support services? A: Anyone who has a child support and/or medical support order, or wants to establish one, can apply for child support enforcement services. If paternity has not been established for your child/children, it will be established prior to a child support obligation being established. Custodial or noncustodial parents can apply for support services. Contact the Oldham County Child Support Office for a Non-Public Assistance application. Currently, there are not fees for completing the application for services. Child support services are automatically provided to current and former recipients of K-TAP and medical assistance. Q: What kind of information do I need to establish a child support order? A: It is helpful if you can provide the non-custodial parent’s address, social security number, date of birth, employer, bank account numbers, property holdings and investments. Look for this information in old insurance policies, credit card or other applications, state and federal tax returns, hospital records, police records and birth certificates. You may be able to get information from the non-custodial parent’s business associates, friends, or relatives. Also, please provide copies of any existing court orders and records of payments. If you can provide the non-custodial parent’s date of birth, father’s name, and mother’s maiden name, the child support agency may be able to obtain information from the Social Security Administration, the Internal Revenue Service, the Veterans’ Administration, the Department of Defense, the Armed Forces, and/or the Selective Service Administration. If you can provide the non-custodial parent’s social security number, the child support agency can obtain information from all state and federal files. Be aware, however, that finding a non-custodial parent through these sources make take several months. Q: Who decides how much child support I receive? A: The Kentucky Legislature has established a mathematical formula for setting child support. Parties’ income, medical insurance costs, day care expenses and child support being paid for older children are all factored into the formula to arrive at the amount of support to be paid. Q: Can the amount be changed in the future? A: If there is a change in circumstances (i.e. change in one or both parties’ income, an older child being emancipated) that results in a change in the amount of child support of at least 15%, then the amount can be changed. Q: How do I have the amount changed? A: In order to review the child support obligation for a possible modification, per Federal Regulations, you must submit your request in writing to the Oldham County Attorney’s Office. A motion to modify support must be filed with the same court that has jurisdiction over the case. Only a court order signed by the judge can legally change the amount of child support. If both parties agree, an agreed order can be signed by both sides and the judge. Without an agreement, there must be a hearing in court and the judge decides. Q: When does child support stop? A: The obligation to pay child support stops in most cases when the child becomes emancipated. This occurs in most cases when the child turns 18 or graduates from high school, whichever occurs later. Q: If I have more than one child and the oldest becomes emancipated, does the amount of child support automatically go down? A: No. If your court order is a per child order, then support will automatically go down; otherwise the parent paying the support must file a motion with the court to have the amount of support reduced and it will be recalculated according to the uniform child support guidelines. The request for modification must, by Federal Regulations, be submitted in writing. Q: Who can request a review for modification of a support order and how is a review of a child support obligation requested? The noncustodial parent may request an adjustment to the child support order through our office. A non-parental custodian (i.e., grandmother, grandfather, aunt, uncle, etc.) may request a review for possible modification. A noncustodial parent whose child support order was established by default may request a review through our office. A foreign reciprocating country or a foreign country with which Kentucky has an arrangement may request a review of their order and the request shall be treated the same as a request by another state in accordance with SSA 454(32)(A) (42 U.S.C. 654(32)(A)). Personal Responsibility Work Opportunity Reconciliation Act (PRWORA) Section 351, SSA 466(a)(10) (42 U.S.C. 666(a)(10)), 45 CFR 303.8(b)(6), and KRS 405.430(6) specify that at least once every three years, child support staff must notify each party subject to a IV-D child support order of the right to request a review of the order and, if appropriate, adjust the order. Q: The noncustodial parent is not paying his/her child support obligation, what can I do? A: The child support office in the county where the support was first ordered can help you enforce the order against the parent who is not paying. Several options are available including holding the paying parent in contempt of court and bringing criminal charges. Some other examples include: income withholding, denial or suspension of a driver’s or professional license, intercept of lottery winnings, intercept of state or federal taxes, and denial of a passport. Information you have about the paying parent’s address and place of employment can be very helpful. Q: What is the age of emancipation in Kentucky? Q: How do I request that my child support check be deposited in my bank account? A: Call (502) 222-9655, or contact your caseworker at the Oldham County Attorney Child Support office to request an application for direct deposit. Q: How do I obtain a copy of my payment history? A: Contact your caseworker at the Oldham County Attorney Child Support office to request a copy of your payment history. Q: What if the noncustodial parent lives in another state? A: The Uniform Interstate Family Support Act (UIFSA) was enacted by the Federal Government in order to provide all child support services available to an individual when either the custodial parent or non-custodial parent lives in a different state. 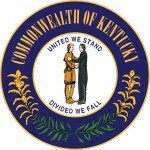 The same services provided when both parties live in the State of Kentucky can be provided when one of the parties lives out of state. Q: She/he never lets me see the kids. Why do I have to pay child support? A: The legal obligation to pay child support is completely separate from the issue of visitation rights. If you are court ordered to pay child support, you must do so regardless of when or if you see the children. If there is a court order giving you visitation and the custodial parent refuses to let you see the children, your recourse is to file a motion with the court asking that he/she be held in contempt of court. Q: Has a payment recently been received for me? A: Please call Child Support Voice Response System at (800) 443-1576. This toll-free number provides automated access to child support payment and account information. This system is available 24 hours a day, seven days a week. You must use your Individual Child Support ID Number provided by the child support agency to access and obtain information from the IVR. In the event your Individual Child Support ID Number is lost or forgotten, please contact your local child support office for assistance. Payment information may be obtained from our office but due to confidentiality, you must either submit this request in writing or come by the office. Holidays generally delay payments two to three days. Generally, child support payments will be received by you within seven to ten days from the date a payment is made in our office. Q: Where do I send my child support payments? Q: How do I Calculate may monthly child support obligation? A: The following forms are used to calculate the amount of child support a noncustodial parent must pay. The CS-71.1 is only used when one parent has 100 percent of the total income for the family. When printing these forms, you must also print a copy of the Child Support Guidelines Table, in order to complete the worksheet. Q: Where can I receive more information about child support services?